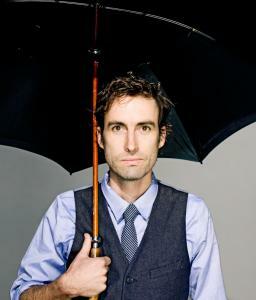 ESSENTIAL "Fitz and the Dizzyspells"
Andrew Bird is so at home in the indie territory occupied by literate craftsmen like the New Pornographers, the Shins, and the Decemberists, it takes several close listens to his rich and subtle new CD for Bird's singular gifts to shine. God knows "Noble Beast" is lovely: 14 slices of sublime chamber pop - ranging in scope from a 20-second trip ("ouo") to a six-minute Latin meditation ("Masterswarm") - made of Bird's conservatory-caliber violin, virtuosic whistle, picked guitar, and signature looping, the occasional flute, keyboard, and clarinet, and a smattering of delicate electronics. The music is restrained compared to 2007's soaring "Armchair Apocrypha," but these easygoing soundwaves contain multitudes. A spare aesthetic doesn't preclude complexity, and Bird is a master of both. He's also the most elegant tunesmith in his part of the playground, and this collection, out tomorrow, unfurls patiently, graciously, opening with a pair of mellow midtempos, upshifting to spry on blissed-out "Fitz and the Dizzyspells," and quietly growing more idiosyncratic from there. He uses his violin like a carving knife, and gauzy distortion like a cleaver, to section pretty "Nomenclature."